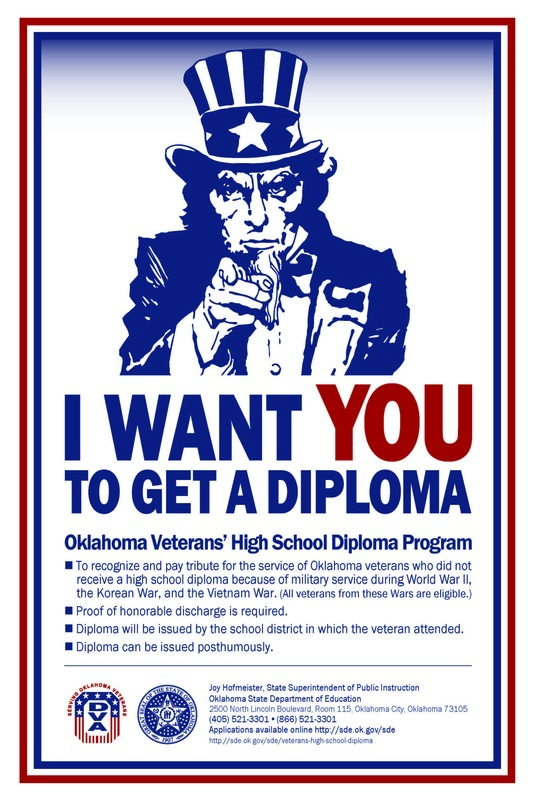 In order to recognize and pay tribute to veterans who left high school prior to graduation to serve in World War II, in the Korean War, or in the Vietnam War, a board of education of any independent school district in this state is hereby authorized to grant a diploma of graduation to any veteran who meets the requirements as listed in Section 517.0.2 of the School Laws of Oklahoma 2009. 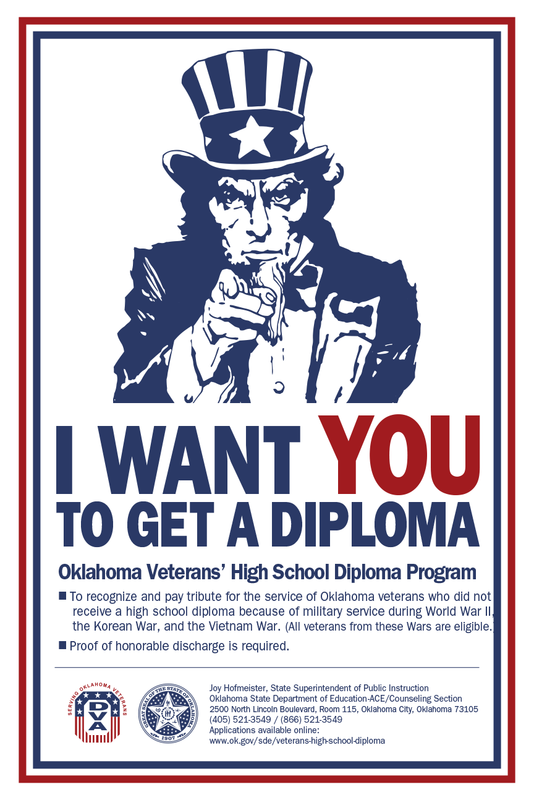 School districts are further encouraged to present such diplomas in conjunction with appropriate Veterans Day programs. For more information, contact Kristin Atchley, LMFT, Office of Educator Effectiveness, SDE, (405) 521-4893.